For my stop on the blog tour for A Little Bit of Chantelle Rose by Cristina Hodgson, I have an interview with the author to share with you all today. 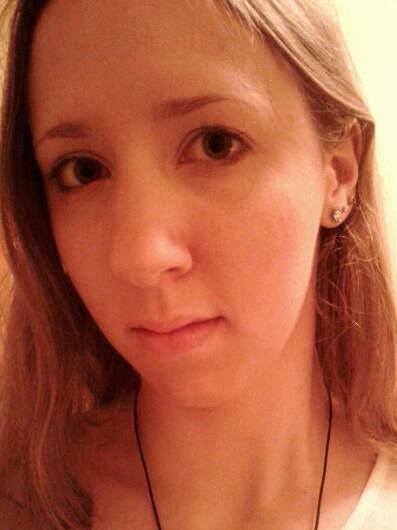 Just a little bit about me, without boring you all! I’m a mum to two cheeky monkeys, who brighten up my day, every day! They are also the proud creators of a few silver streaks in my hair! 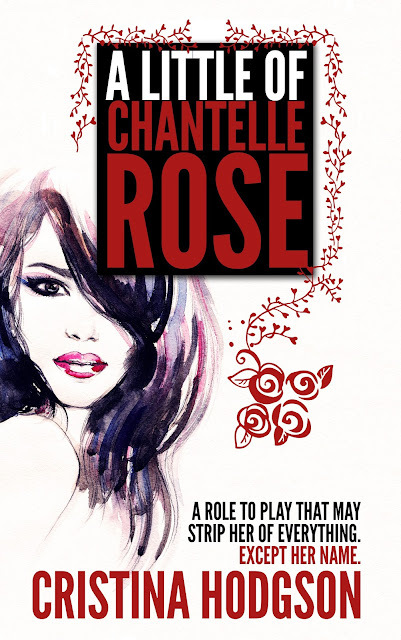 A Little Of Chantelle Rose is my debut novel. Amazingly, despite graduating from Loughborough University with a degree in PE and sports science, the novel has nothing to do with running! I've always loved reading. I never thought about writing myself. Then one day, pretty much out of the blue, I just sat down with a vague idea in my head and three months later, I'd completed my 90 k novel. I think I was more startled to finish the novel than anyone else. What draws you to writing romantic comedy? They say “There's nothing to writing. All you do is sit down at the typewriter and bleed.” This is so true. I find myself crying my eyes out when writing sad scenes. I don't think I could handle writing a whole novel sobbing away, which is why I opt to write, at least for the time being, comedy. I'm not going to contemplate writing thrillers right now either, I have no need to freak myself out on a daily basis. And forget hauntings! Tell me about A Little of Chantelle Rose. My debut novel is based on a young woman living in London who is looking to change her life. In the novel, Chantelle, after becoming an extra in a “seedy crime film” is offered the chance of a lifetime, a role to play with a million dollars to win and seemingly nothing to lose; she accepts without thinking twice. Little does she know that the role she's been given to play may strip her of everything. Simultaneously, two men seem set on winning her heart, but someone also seems bent on scaring her away. The novel is suitable for young adult readers who enjoy romantic comedies. Life in general, and for this, my debut novel, I got inspiration from something that actually happened to me. After graduating from Loughborough University with a degree in Sports Science, I travelled and worked in various jobs. One of which was as an extra in a British-produced gangster film which was filmed in Nerja, Spain. It goes without saying that my sports mechanics and kinetic energy knowledge wasn't put to maximum potential in this part-time job. But it was certainly a fun and unique experience, but most importantly it gave me an idea. A year later I sat down and Chantelle Rose was born. As in whether I'm a panster or a plotter? Panster. I begin with a vague idea which then propels me off to a journey into the unknown. Which, if you think about it, has to be a plus, because if I don't even know the ending to my novel until the last few chapters I should keep my readers guessing too! You spend hours sitting in a chair without moving much, except your fingers as they dart across the keyboard, but it's so mentally draining it knocks you out, almost as much as marathon running. As I've already said, I graduated from Loughborough University with a degree in PE and Sport Science, so I know what I'm talking about. Then you have your internal doubts as to whether what you're writing actually makes sense, let alone if it's interesting or not! And then there's the dreaded writer's block, which is pretty much when all your imaginary friends stop talking to you. Living lives through my characters. It's an escapism really, whilst I'm writing I feel like I'm living another life through my protagonists. I would have to say Enid Blyton, no so much that she inspired me to become a writer, rather she made me a reader. As a child, I read all her Famous Five books. She opened a magical world to me and a passion for reading that has accompanied my whole life. She inspired me to read and from the reader, the writer is born. I also greatly admire J K Rowling, a huge inspiration, not just for her incredible writing talent, but for her “rags to riches” life story. An amazing lady together with everything she's achieved. Never give up, which can be applied to life in general. If you have a dream, go and make it a reality. You'll have to work hard because if writing was easy, everyone would be a published author. But the satisfaction of seeing your work in print compensates by far all the time and effort you've channelled into your project, whatever it may be. Hard one, but I'd have to go with The Lion the Witch and the Wardrobe by C.S. Lewis. I'm quite happy to live this experience without thinking too much ahead. To be able to pay off my mortgage with my writing would be incredible, but only a handful of talented authors achieve that. So for the moment, I'd be more than satisfied if I can make my readers smile and for them to enjoy my work. I wake up at 5.30 a.m. to write for an hour or so before the school run and the day job. So I guess if I wasn't a writer I'd be having a lie-in every morning. Having graduated from Loughborough University, I imagine it comes as no surprise for me to say that I love any outdoor sports activity. Triathlon, athletics, skiing, scuba diving and horse riding. Though nowadays I mainly find myself chasing after my two young kids. Which is more energetic than a lot of adventure sports! This is a bit of a secret at the moment, you'll understand if you read my debut novel. Never on Saturday by Sue Barnard, who actually happens to be my editor. A Little of Chantelle Rose is available to buy now. What do you think? Will you be reading the book? Let me know in the comments below! I hope you enjoy it, Edie!